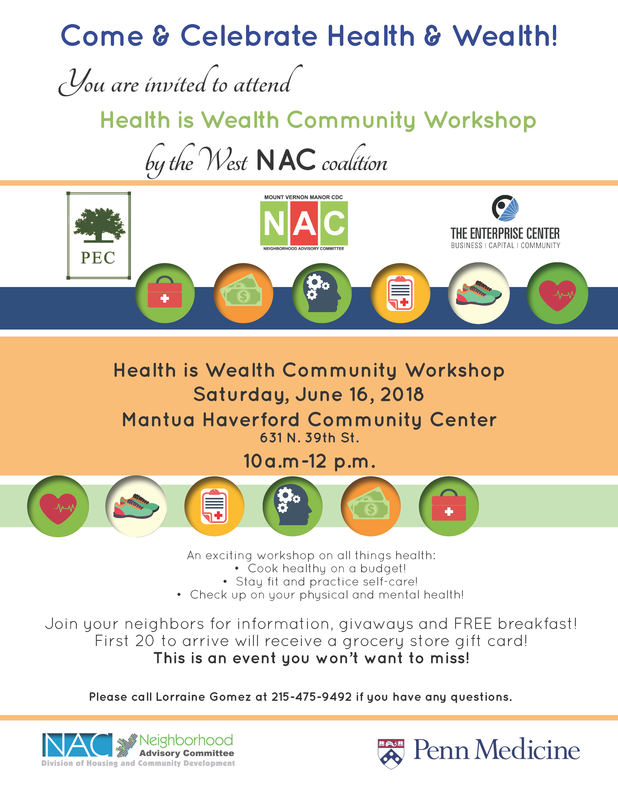 Do you need assistance signing up for health insurance for 2018? 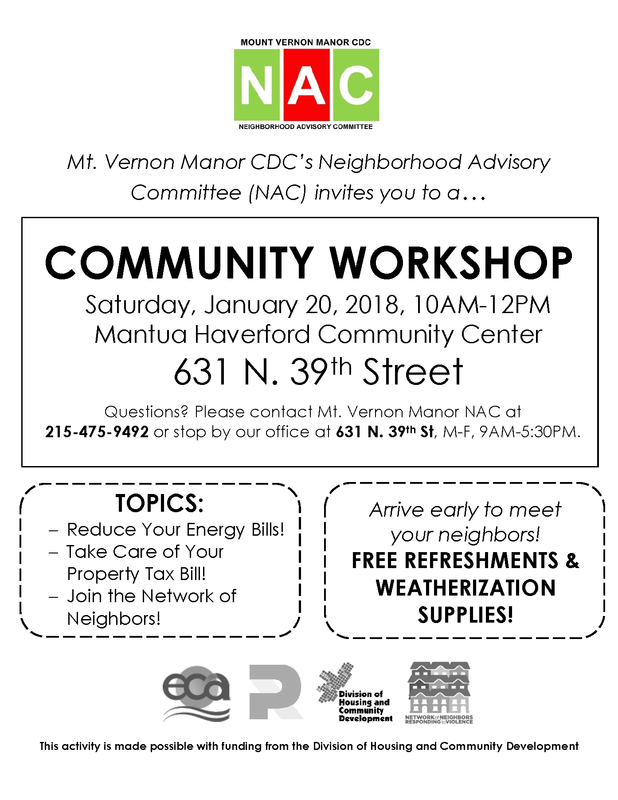 Don’t hesitate to come to the MVM NAC Office at 631 N. 39th Street, M-F, 9AM-5:30PM. Certified enrollment counselors will get you covered before the Dec 15 deadline! 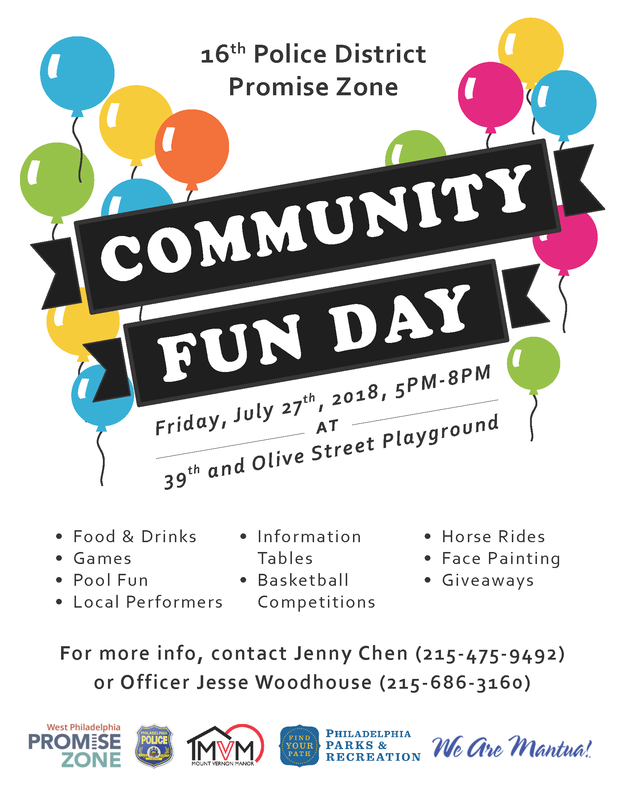 For more information, visit: http://www.healthcare.gov. 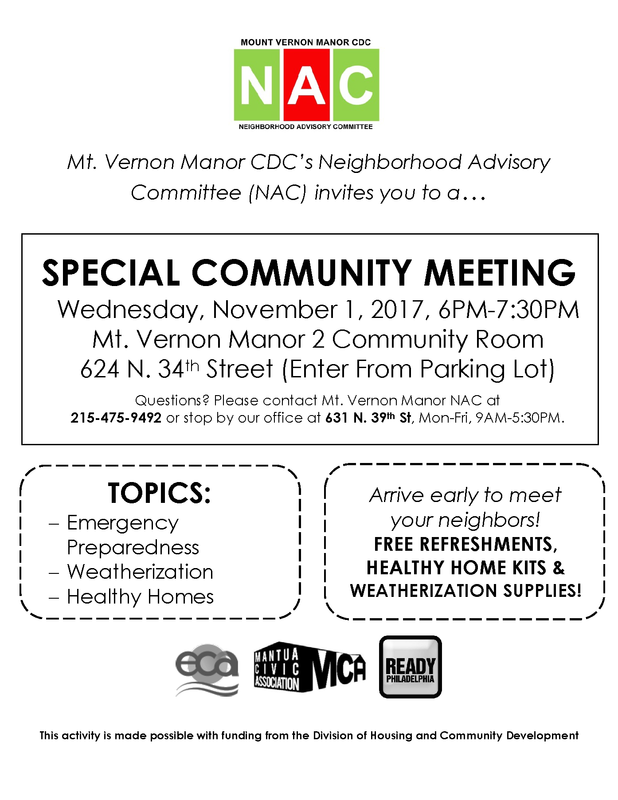 Join friends and family for an informative meeting on Wednesday, November 1, 6-7:30PM, in the MVM 2 Community Room (624 N. 34th Street, Entrance from the Parking Lot). 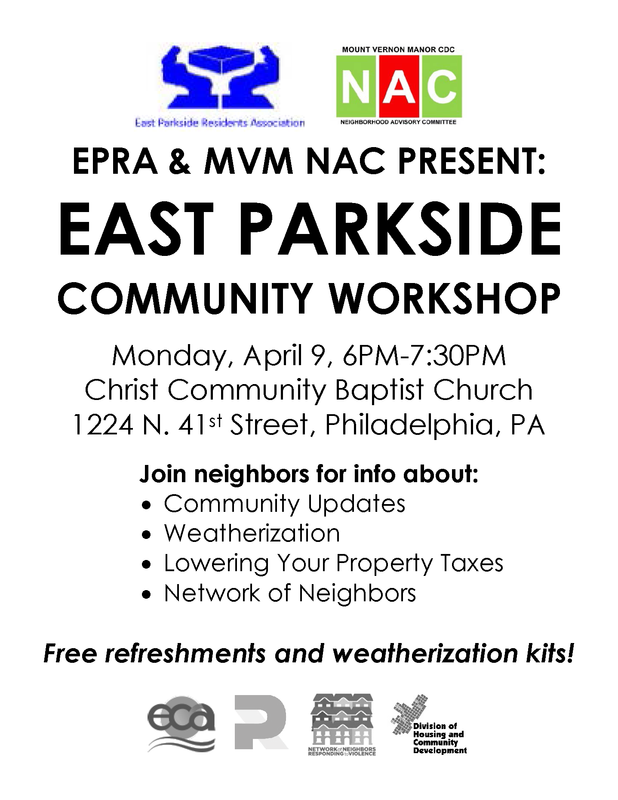 The Philadelphia Office of Emergency Management and the Energy Coordinating Agency will be providing emergency prep and energy efficiency workshops! 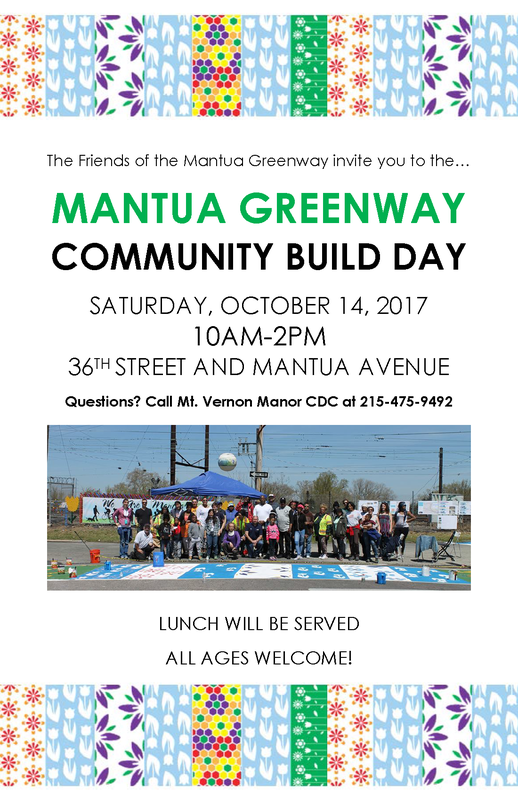 Workshop participants will receive an emergency go-bag and a kit of efficient electrical supplies. Questions? Don’t hesitate to call Mt. 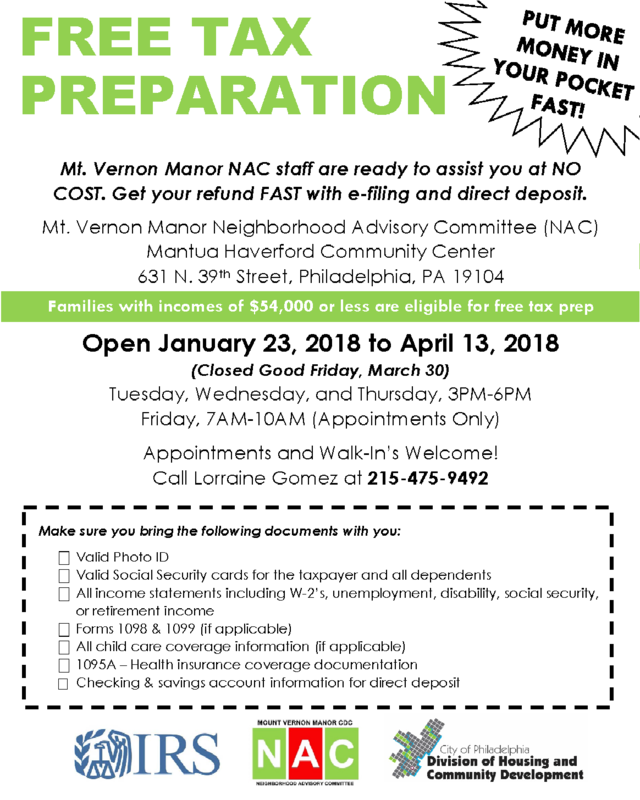 Vernon Manor NAC at 215-475-9492. 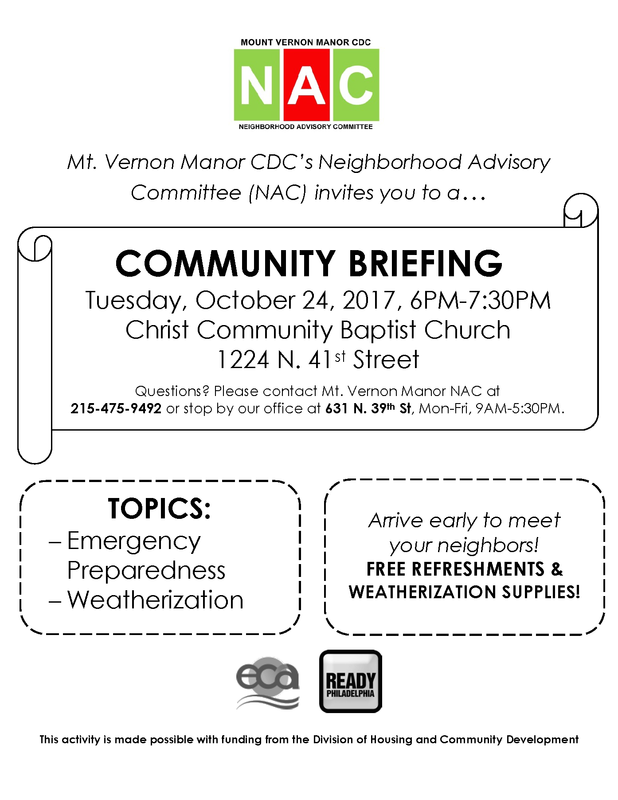 Join your family and neighbors on Tuesday, October 24, 6-7:30PM, in Christ Community Baptist Church for MVM NAC’s next Community Briefing! 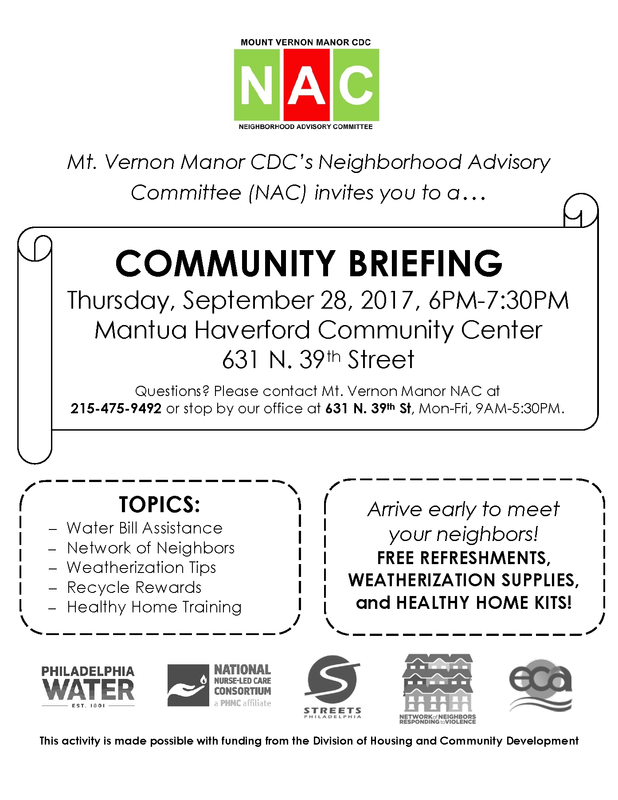 Get equipped to handle the upcoming cold weather with a weatherization training and emergency preparedness workshop from ECA and OEM!